Looking to upgrade those factory fog lights on your Wrangler JK? Look no further then a pair of Squadron-R Sport LED Fog Lights by Baja Designs. These fog lights will fit in your factory OEM fog light pockets giving you a crisper brighter light to help cut through the fog providing you a clearer path as you drive your Jeep. 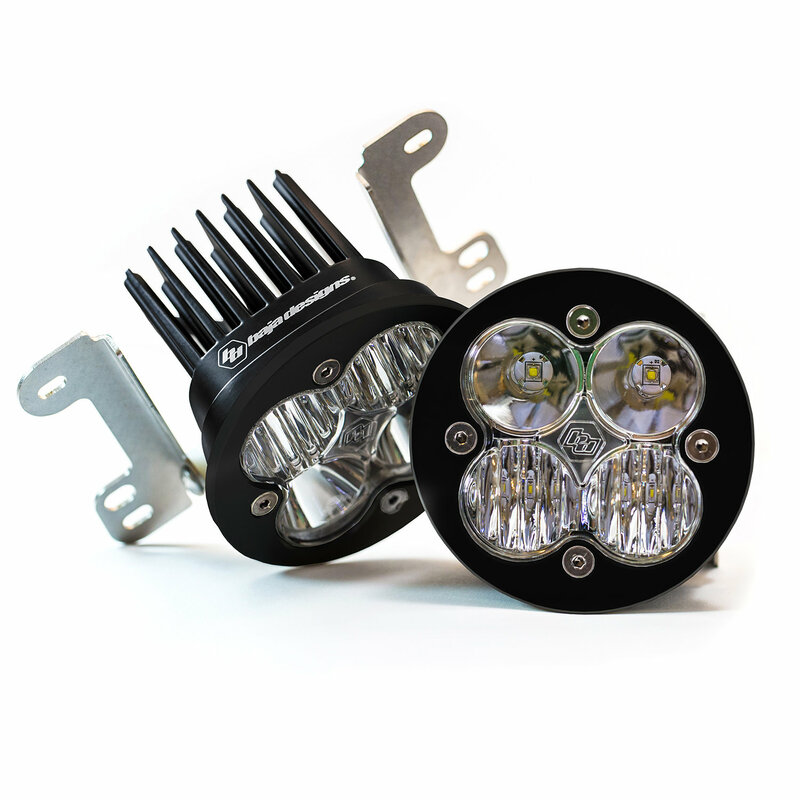 Upgraded Fog Light: With a powerful 2,260 lumens output giving you a crisp bright light you will be wondering why you waited so long to replace those factory fog lights. Fitment: These fog lights are a direct fit into your factory JK plastic bumper's fog light pockets giving you a nice clean look.